When you drive down Milledgeville’s country roads, you can’t help but hum along to John Denver’s classic tune “Take Me Home Country Roads.” The beginning twang of the guitar just sounds like a southern summer in Milly, complemented by the sweet lyrics of the song. 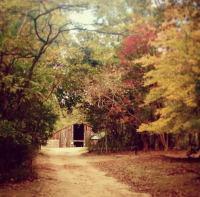 One of the most beautiful dirt roads in Milledgeville is that of Andalusia Farm. Open Thursday through Saturday so you can revel in their golden sunsets, Andalusia is riddled with huge oak trees to shade your drive. 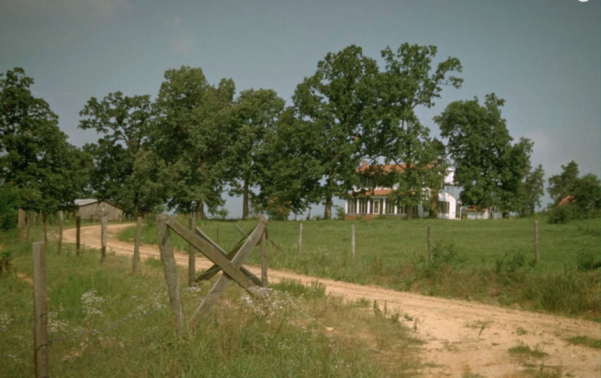 Remember to drive slowly so you can catch a glimpse of the peacock farm and the farmhouse that Flannery O’Connor spent much of her time writing in. The lyrics “Life is old there, older than the trees” comes to mind when you ride through Andalusia. There is no better feeling than driving down dirt roads to spend a weekend relaxing by the lake! Lake Laurel Drive will take you right by a farmer’s stand every day during Milledgeville’s summers, where you can get the sweetest peaches and the juiciest watermelon. While a summer in Milly is always warm, rolling down the windows and listening to some country music will give you the perfect breeze on your way to the water. When you need some country roads without the car, heading to Bartram Forest will give you the same feeling as listening to your favorite song. Stroll through the towering pine trees and breathe in the fresh air, and you will understand what all those country singers are talking about. Roam along the edge of the waters of the Oconee River and listen to the birds hum their own tune for a peaceful afternoon. Even if Milledgeville isn’t your home, the welcoming town will remind you of driving to a place with great memories and history. Just like John Denver says “Driving down the road I get a feeling that I should have been home yesterday,” you will wish you were here a day before.